A while back I answered your questions about all things travel related, and since then many of you have asked about my favorite places we’ve traveled to! It’s hard to know what places are worth going to before you get there so I thought I’d share my absolute top 5 favorite spots I’ve ever traveled to. It should be easy to see why this is my favorite place in the world: pristine turquoise water, incredible wildlife, lush tropical mountains, beautiful culture, friendly locals.. oh man I could go on. My favorite thing we did on this trip was swim with humpback whales. It was life changing and if it’s not already on your bucket list, it should be! 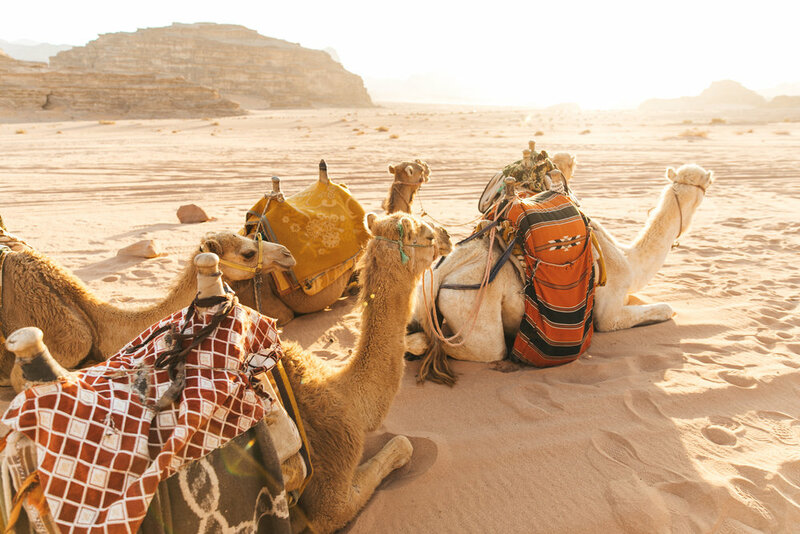 Does riding camels through a desert dreamscape, camping under the stars, eating fire cooked traditional food, and listening to ancient stories and music sound like your kind of thing? Jordan comes as a close second to being the most magical place I’ve ever been. The landscape made it dreamy, the food was a bonus, and the people made it the trip of a lifetime. The kindness and culture of everyone we met just blew me away. I can’t say enough good things about Jordan. Just go there. Yes it’s a world wonder and you’ve definitely seen plenty of photos of it, but I promise being there in person is a completely different experience. It will take your breath away as you stand in the city among the clouds. Not to mention, Peru has some of the best food I’ve ever tasted while traveling and the people are generous and welcoming. This whole country easily sits at the top of my list. It’s just too incredible not to. A bit off the beaten path but Moloka’i is true Hawaii and will reward those who are okay traveling without a plan or guide (because there’s almost no info online about it). This island holds a special place in my heart because my dad lived there as a pineapple picker and I grew up listening to stories and looking and his photos, which ended up inspiring me to take photos of my own adventures. Moloka’i truly has a special feeling about it and I think it’s because it’s been so untouched from tourism and American culture thanks to the beautiful people who fight to keep it that way. Empty white sand beaches, quiet forests, and hundreds of waterfalls cascading over the world’s tallest sea cliffs awaits anyone willing to get out of their comfort zone. 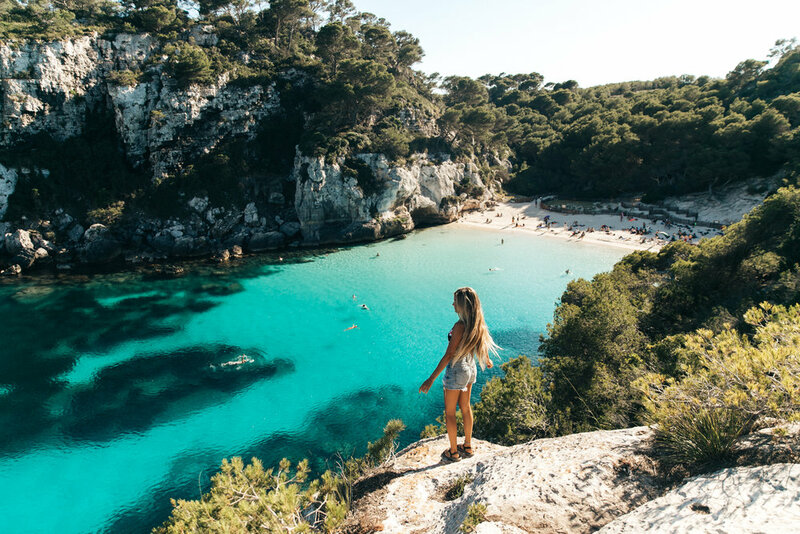 I’m a little biased because this is where my ancestors come from, but Menorca is a special place. Unlike it’s more popular neighboring islands (Ibiza and Mallorca), Menorca is quiet and quaint. The food is simple (but delicious), the people are welcoming, and the beaches are out of this world. Talk about the most vibrant, neon blue I’ve ever seen. You almost can’t believe your eyes when you see it! And for the most part, you get things to yourself which is pretty rare in Europe. I can’t recommend this little island enough for those who want to soak up the Mediterranean more quietly. There you have it, my top 5 favorite places! Honorable mentions are: the island of Palawan in the Philippines, the Azores islands, and Fiji. There’s so many rad destinations in this world and I hope I made your wanderlust just a little bit stronger with these favorites of mine. Where is your favorite place you’ve ever traveled? What made it special? I’d love to know!